Walls and slopes are either in areas of "cut" or in areas of "fill". When a structure is to be built in an area of cut it is generally most economical to build a “gravity” structure to avoid the removal of large quantities of material. 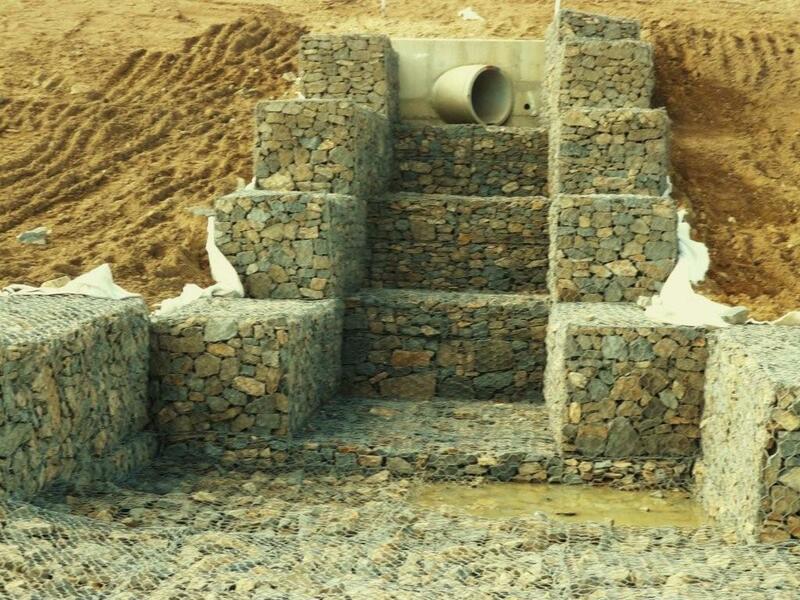 Products such as Global Synthetics Link® gabion that are assembled and filled with rock on-site are excellent examples of mass gravity walls whereby the upper driving force of soil being retained is resisted by the mass of the gabion structure. Gabions also offer the additional advantage of being very flexible to accommodate ground settlement and are free draining in nature to remove water pressure within the retained soil. When a slope is being filled with imported materials to increase additional useable space (such as road widening, increased building footprint) it is almost always more economical and expedient to use soil reinforcement techniques. 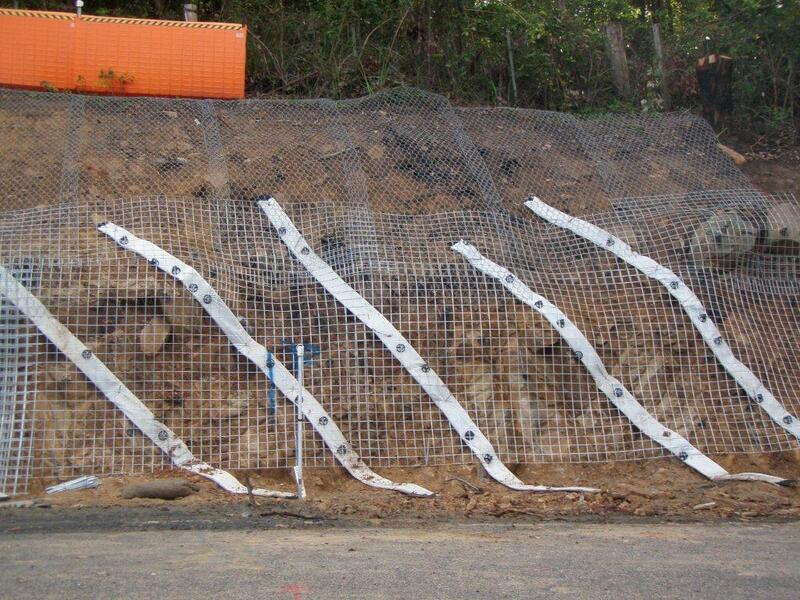 This process is where a tensile element such as a geosynthetic geogrid is included within the soil mass being placed, to increase the soil shear strength and allow the soil to be placed at greater slope angles, or when used in conjunction with a facing element, reduces the driving force being exerted on the wall. The length of reinforcement, the vertical spacing and the termination detail will vary between projects, site conditions and method of construction selected. Global Synthetics has several products that can be successfully used in such treatments with the facing option quite often dictated by aesthetic requirements. 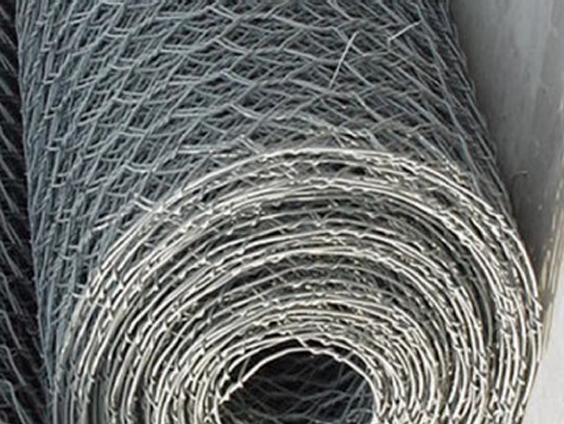 Global Synthetics products include Terralink®, soil reinforced gabions with either a metal mesh panel or a geosynthetic geogrid as the reinforcing element. 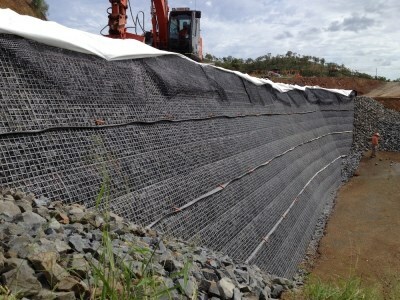 ACEGrid® and Secugrid® P geosynthetic geogrid products are used in these long term retaining applications. Dependent upon the face angle of the slope or wall to be constructed the face treatment will vary. 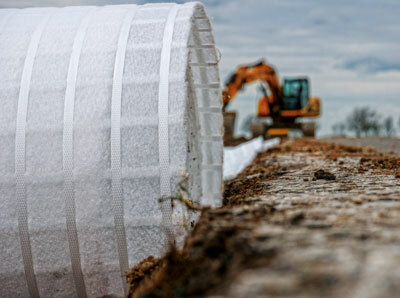 Global Synthetics has the necessary approvals for many of their soil reinforcement solutions when used in major infrastructure works for Australian Roading Authorities and will be able to assist in the design process.